Stan have announced cast for season two of comedy series The Other Guy, starring its creator Matt Okine. Claudia Karvan (Newton’s Law, Love My Way), Lily Sullivan (Romper Stomper, Picnic at Hanging Rock), Barry Otto (The Dressmaker, Strictly Ballroom), Matt Day (Wolf Creek, A Place To Call Home, Rake), Fiona Press (The Heights, Secret City), Elsa Cocquerel (Wolf Creek), plus writer Clementine Ford (Fight Like A Girl, Boys Will Be Boys) and Yumi Stynes will all feature. 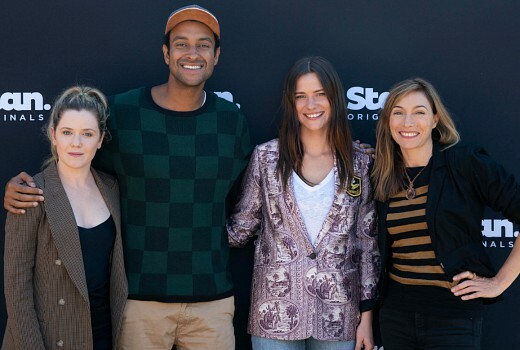 They join returning cast Matt Okine as radio presenter AJ Amon, Harriet Dyer (No Activity, The In-Between) as best friend Stevie, Valene Kane (The Fall, Rogue One), Michael-Anthony Taylor (Pine Gap) and Christiaan Van Vuuren (Soul Mates, Bondi Hipsters). Written by Matt Okine, Kacie Anning (Fragments of Friday), and Becky Lucas, the new season is directed by Gracie Otto (The Last Impresario), who makes her TV directorial debut . Filming is now underway in Sydney, to screen on Stan in late 2019.